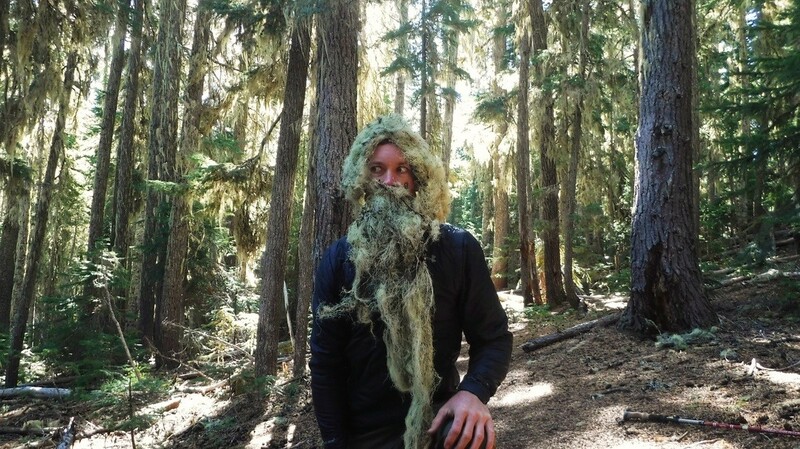 Jacob Thum is better known as Fancy Pants on the Pacific Crest Trail. It’s a nickname he earned in the early stages of his quest to hike the 2,650-mile trail, which spans the U.S.-Mexico border near Campo to British Columbia, Canada, near the U.S. border. Designated a National Scenic Trail in 1968, it gained widespread fame from the 2014 Reese Witherspoon film “Wild” as well as the Cheryl Strayed memoir on which the movie is based. Jacob, a recent Cal State San Marcos graduate, joined a small group of hikers traversing a difficult downhill stretch near Idyllwild, about 200 miles into his journey. They were taking a small break after successfully navigating the mountain when one member of the group offered to share a Hershey’s Milk Chocolate Bar. A self-proclaimed chocolate connoisseur, Jacob couldn’t bring himself to take a bite, instead pulling out some dark chocolate and recommending the group try that instead. “One of the people said, ‘Oh, sorry Mr. Fancy Pants,’ ” said Jacob, laughing. The name stuck. Most people who tackle the Pacific Crest Trail are given trail names. The monikers are included on a list of thru-hikers – those who complete the entire journey – that is maintained on the Pacific Crest Trail Association website. 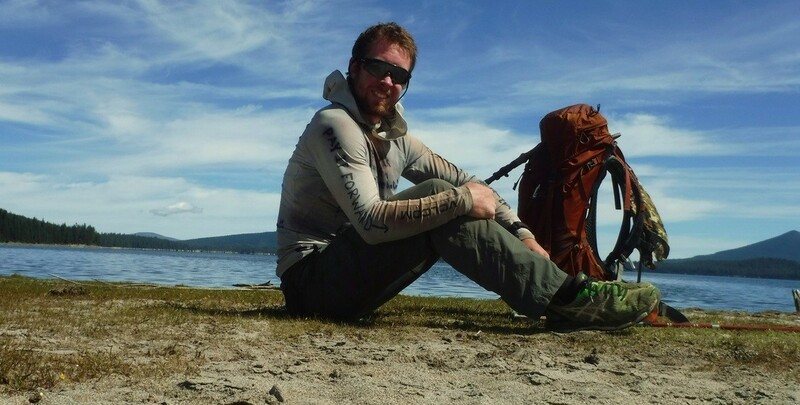 While most people would consider Jacob a thru-hiker, he said he won’t add his name to the Pacific Crest Trail Association list because he had to end his journey about 60 miles from completion. Jacob earned his degree in kinesiology with minors in chemistry and Spanish from CSUSM in May. Finishing school meant starting his hike about a month later than what is considered the optimal time to begin. Starting too early or too late often means contending with dangerous weather conditions, something Jacob learned first-hand about 2,600 miles after his start. Jacob was inspired to tackle the trail to raise money for Project Walk, a spinal-cord injury rehab facility. Jacob overcame a spinal-cord injury suffered in a motorcycle racing accident when he was 17. The injury left him in a wheelchair not knowing if he would ever walk again. He began to regain sensation in his left leg about five months after the accident, and it took another six months before he could walk somewhat normally. 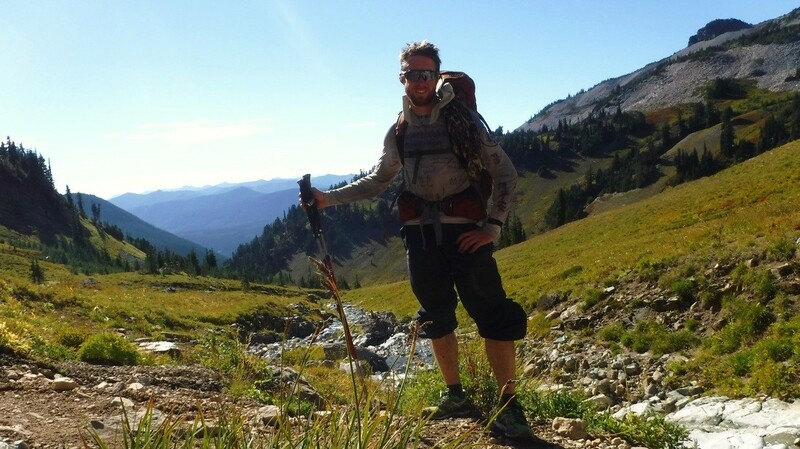 Jacob still doesn’t have complete sensation in his right leg, but it didn’t deter him from taking on the Pacific Crest Trail. “I wanted to take advantage of being able to walk again,” he said. Jacob met other hikers along the way, but spent most of the trek alone. He contended with numerous difficult conditions, from 110-degree days in the Mojave Desert to crossing ice in the Sierras to mosquito swarms in Kings Canyon. The first big moment to do so came about three weeks into his hike while in the Mojave Desert. Dealing with the heat was difficult, but adjusting to the solitude might have been a bigger challenge. Jacob persevered for some 2,000 more miles. But crossing into Washington was a turning point. He contended with interminable rain as he navigated what was the most difficult stretch for him. He had a pack cover to protect his belongings, but he didn’t even bother to use it by his third day in Washington as everything he had was thoroughly soaked. With relentless rain came plummeting temperatures. For the first time, he was surrounded by snow when he got out of his tent each morning, hindering visibility of the trail. Frostbite soon became a concern. Jacob was still about 40 miles from Stehekin, a small community in the North Cascades of Washington. He knew he needed to get to lower elevation. That meant taking side routes, which slowed his progress on the trail. “Basically, I wanted to come home with my toes,” he said. He eventually reached an elevation where he could safely check his feet. He was relieved to see that his toes didn’t have the waxy appearance that can indicate frostbite. With limited options, Jacob forged ahead. His shoes had gaping holes, shredded by more than 2,500 miles of hiking, so he put plastic bags over his socks in an effort to keep his feet dry. He continued through the night toward Stehekin. It wasn’t until he reached a main road at about 4 a.m. that he realized it was another 15 miles into the town. Fortunately, there was a shuttle to take people from the main road into town. Jacob said thru-hikers are treated like celebrities in Stehekin. People paid for his meals and some even offered their hotel room so he could shower. “A shower after two weeks is a life-changing experience,” he said. While walking through Stehekin, Jacob met a couple who invited him to stay at their cabin because they knew a major storm, fueled by remnants of a typhoon, was due to hit. It confirmed weather reports Jacob heard from other hikers. Knowing that the storm would make trail conditions treacherous, the couple urged Jacob to end his quest. They had him sleep outside on their porch to get a taste of what was coming. It was the coldest night of Jacob’s journey – and that was with the comfort of a cot and an extra sleeping bag provided by the couple. Jacob said he could have tried to find a place to camp at lower elevation and wait until the storm passed, but the risks and unknowns – everything from potentially running out of food to avalanches to freezing temperatures – were too great. Jacob is at peace with finishing short of the northern terminus on the Canadian side of the border. He was at the Seattle train station en route to returning to Southern California when he ran into a couple of hikers he had met on the trail. He told them that his trip ended just shy of the finish because of the storm. “They said, ‘Oh, that’s so disappointing,’ ” he said. “But in my mind I’m thinking about what a triumph it was for me. I wouldn’t have given up any other days on trail just to be able to have stepped over a line and finished it according to somebody else’s criteria. “Do I consider my hike less valuable because I didn’t finish the last 60 miles? Absolutely not. Jacob called the couple in Stehekin to let them know that he really did end his hike and was safe. He also contacted the group of hikers that he met at the beginning of his journey who dubbed him Fancy Pants.